There are few parks on earth as well known as Grand Canyon National Park. 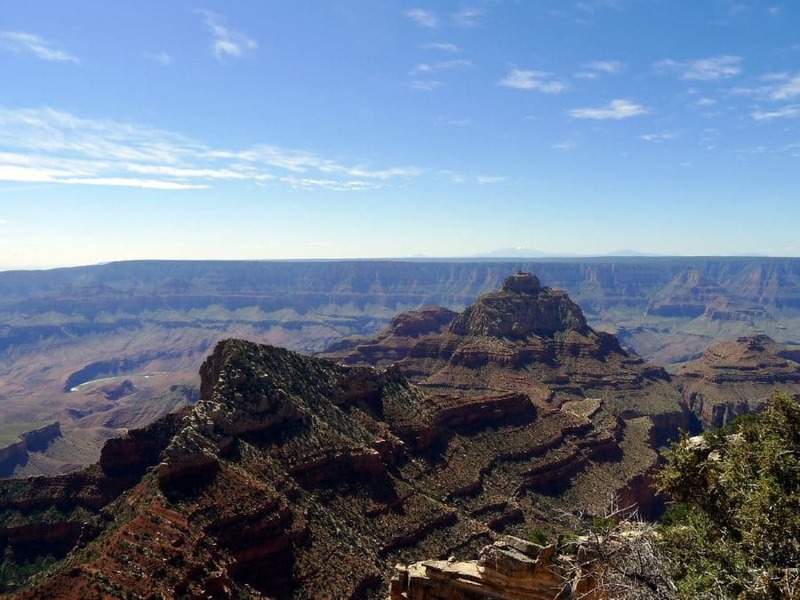 As one of the seven natural wonders of the world, GCNP contains nearly two billion years of geological history constantly being exposed by the mighty flows of the Colorado River. It cuts roughly one mile (one and a half km) deep into the earth’s surface and expands 277 (446 km) river miles long and up to 18 miles (29 km) wide. Native Americans have continuously inhabited the area for thousands of years, and today roughly six million visitors come to see the breathtaking views in person each year. 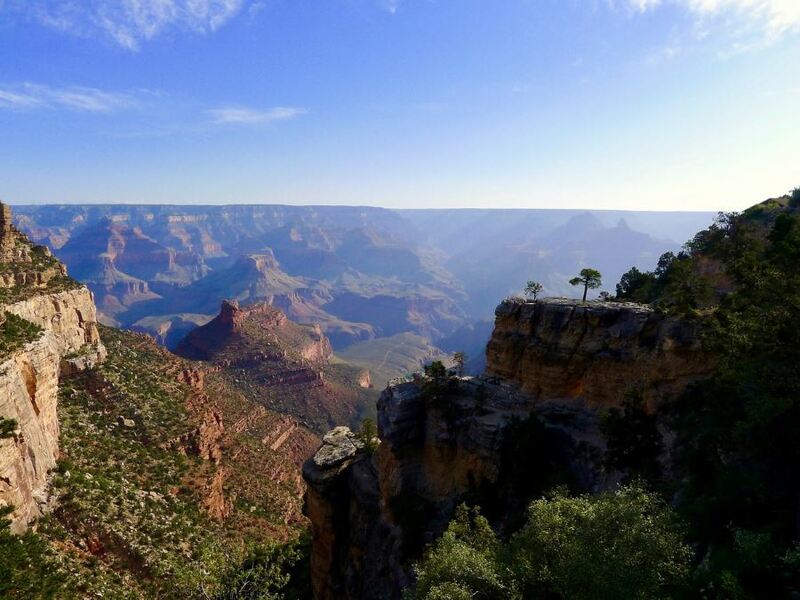 About 90% of visitors opt for the more popular South Rim to take in the spectacular canyon sights. Here you will also find the most amenities, a good public transport network as well as facilities open all year. 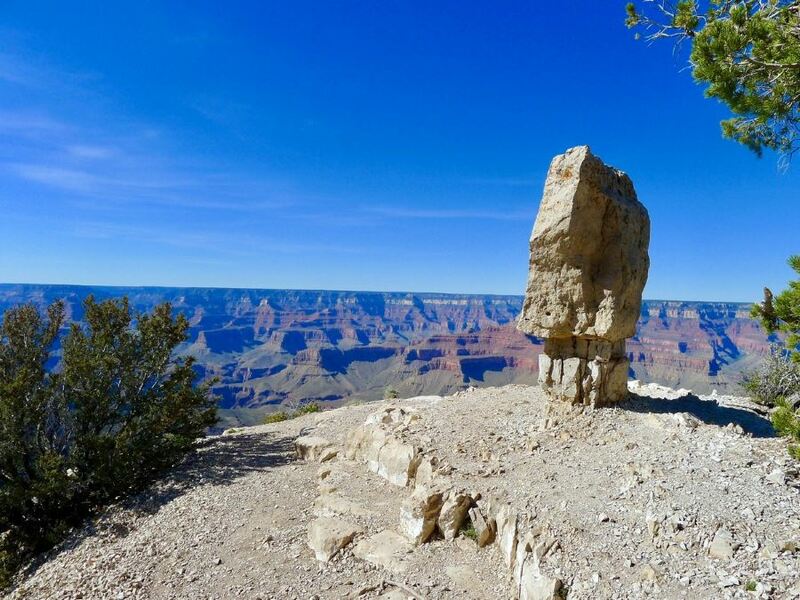 The North Rim is just 10 miles across the Canyon, but is only open between mid-May and mid-October – offering the benefits of increased solitude and a peaceful ambiance. Whether you want to hike the trails, skydive over the scenery, raft on the mighty Colorado or simply relax in one of the many lodges – the sheer overwhelming size of the intricately colored landscape is sure to be an adventure you’ll never forget. 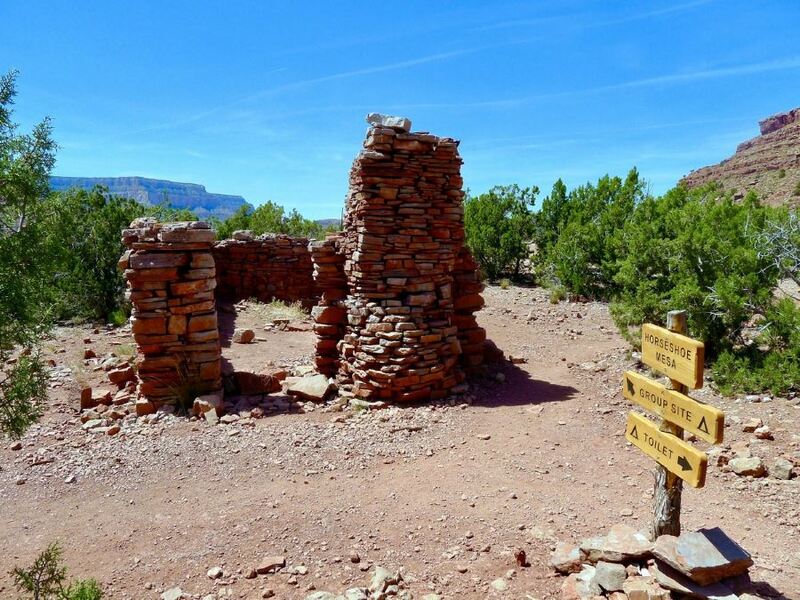 Here we’ll take you through the basic overview of hiking in Grand Canyon National Park – including how to get there, where to stay, where to eat, what to see and what to watch out for. There are several ways to get to GCNP from their air. Most visitors opt to fly into either Phoenix International Airport (231 miles/371 km to the South Rim) or Las Vegas (McCarran) International Airport (278 miles/447 km to the South Rim). Another option is to fly into the closer Flagstaff Airport (81 miles/130 km to the South Rim), although there isn’t as much variety of flight options to choose from. You can rent a car from these airports, or reserve a shuttle service from Phoenix or Flagstaff. As Grand Canyon is such as popular tourist destination, it can be difficult to find a good time to visit that offers pleasant temperatures, while still beating the crowds. For the best chance of good weather and less people, go from March to May or September through November. Here the weather is not scorching hot and it’s not in the height of the peak season. If you visit in the summer months, expect there to be severely limited accommodation options. Visiting in the spring (March through May) means warm weather without the hoards of tourist. Some areas of the park, especially the North Rim, don’t open up until mid-May, so keep that in mind. Despite a daily average of around 50-70 F (10-20 C) temperatures can range wildly – pack plenty of layers and a reusable water bottle. In the height of the summer (from mid-May to mid-September) the park is blessed with long, sunny days and warm (if not hot) weather. Canyon breezes can bring a welcome cool down, but make sure you’re wearing sun protection to ensure you don’t get burned. Heavy rainstorms are frequent in July, but they don’t tend to last long. During this time all the facilities are open, but you’ll need to book early, arrive at trails before 10 am and prepare for heavy crowds. As autumn begins in GCNP (September to November), there tends to be less people and cheaper hotels but also greatly varying temperatures and closing facilities. Make sure to pack lots of layers and plan ahead to ensure where you want to stay is actually open. Winter in Grand Canyon is by far the most tranquil part of the year. 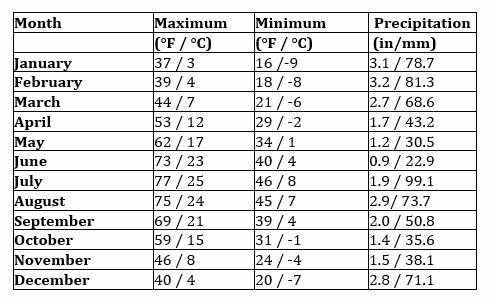 Temperatures are typically chilly – ranging from roughly 40 F (4 C) to the teens (below 0 C) and the facilities on the North Rim are closed. However, the South Rim stays open all year and this is the time you can get a great deal on a hotel room. 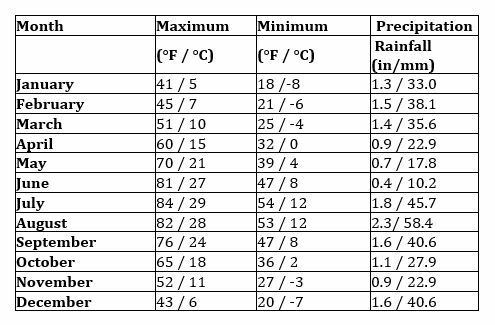 Just make sure to bring waterproof shoes (it snows in the Canyon) and warm layers. 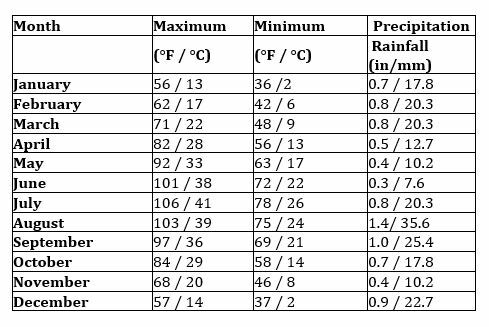 Temperatures and precipitation range between the South Rim, North Rim and Inner Canyon, despite being just a short distance apart (the North Rim is roughly 10 miles across from the South Rim). Thus, we provide here information for all three areas. 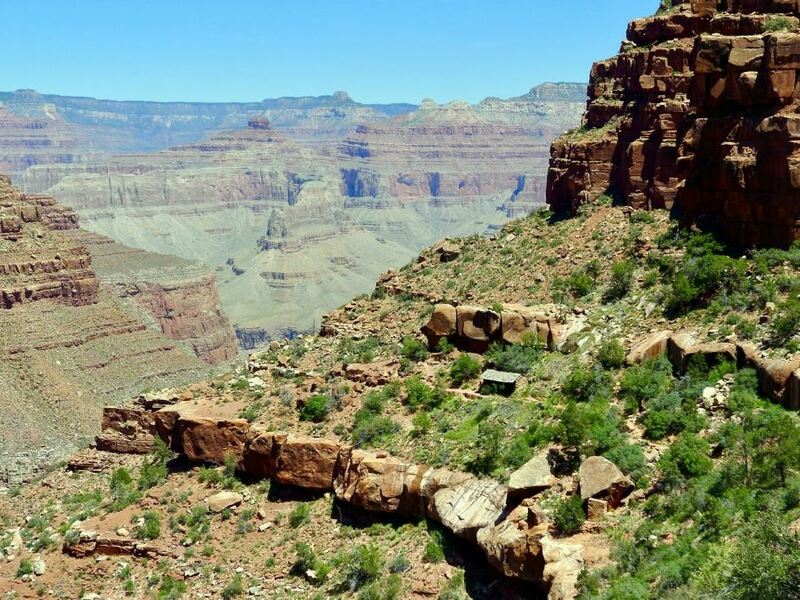 Within the Canyon, visitors can choose from several free shuttle options that connect the various lodges, campgrounds, restaurants and shops with main points in the South Rim such as the Market Plaza, Visitors Center and Grand Canyon Association Park Store. For more information please click here. Lodging options within the park are varied – ranging from luxury historic hotels to campgrounds with no hook-ups. If you’re planning to go in the summer season, make sure to book early. The majority of options are located on the South Rim, but you can also find some accommodation on the North Rim and within the canyon itself. For a complete list of lodging options in the park click here. On the South Rim, two companies handle accommodation: Xanterra Parks and Resorts and Delaware North. On the North Rim, there is only one lodging option, The Grand Canyon Lodge. 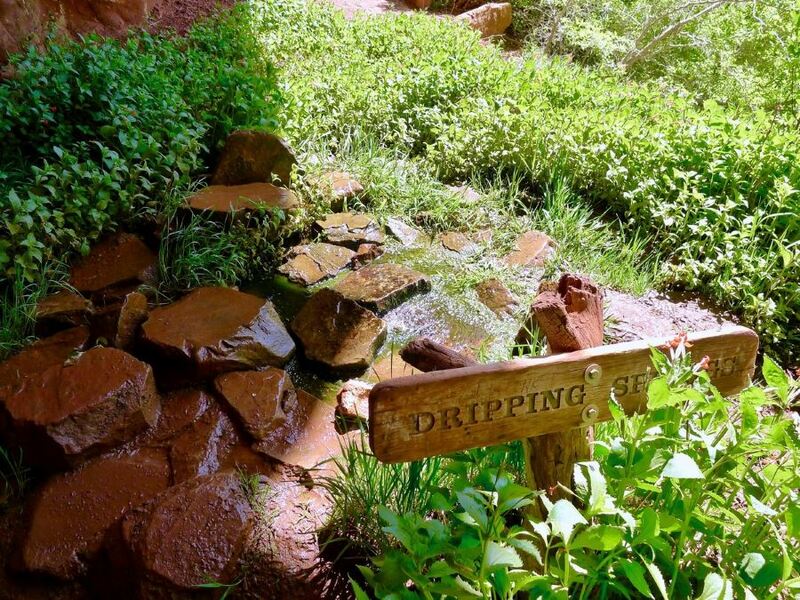 Inside the canyon, Phantom Ranch is the only lodging option for guests. For all these options, reservations may be required (make sure to check) for both lodging and meals. 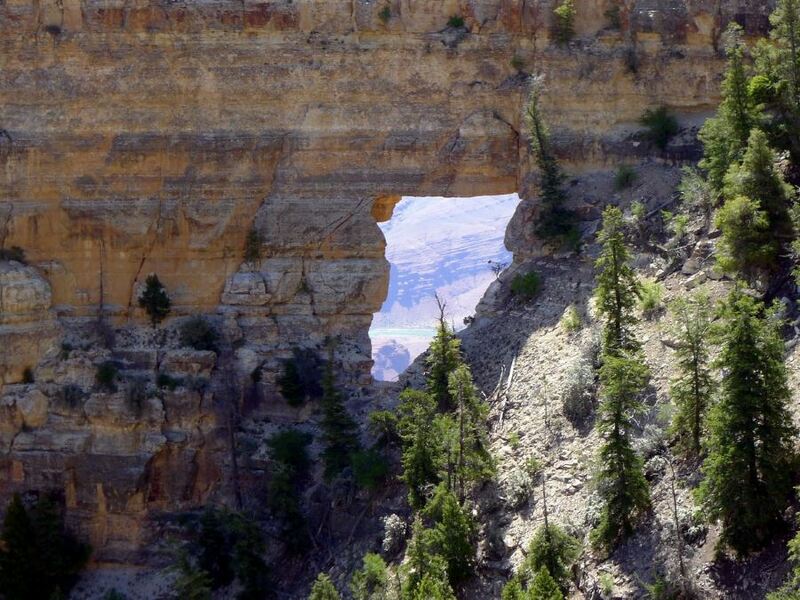 It’s also possible to camp in Grand Canyon, on both the North and South Rims. As well, you can obtain a backcountry permit at the Backcountry Information Center to be able to camp anywhere in the park. Like most National Parks in the U.S., Grand Canyon offers a variety of rustic dining options, accompanied by small markets, bakeries, snack shops and cafes. 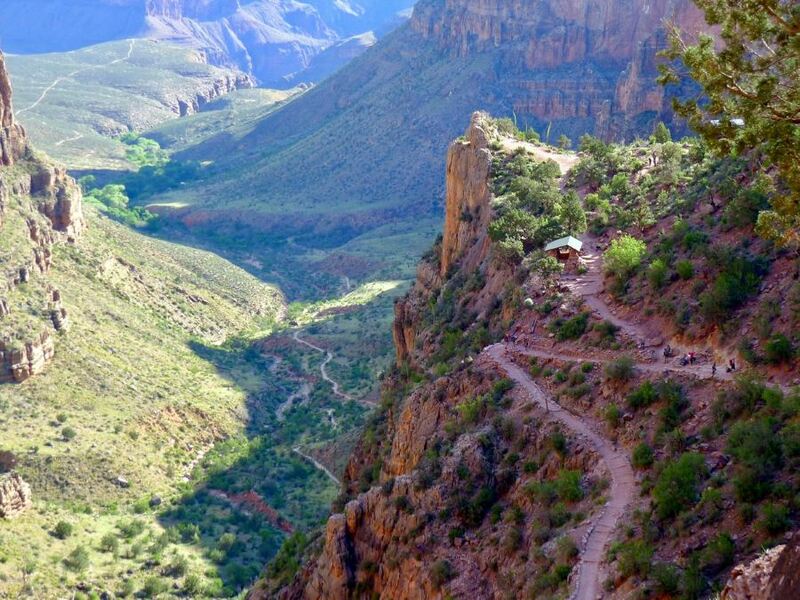 The South Rim – which includes Market Plaza, Grand Canyon Village, Hermit’s Rest and Desert View – has the most options to choose from. As well, most facilities are open year round. On the North Rim, there are several options to choose from including sit down menus, buffets and grab and go bakeries – but this is only open during the summer season. 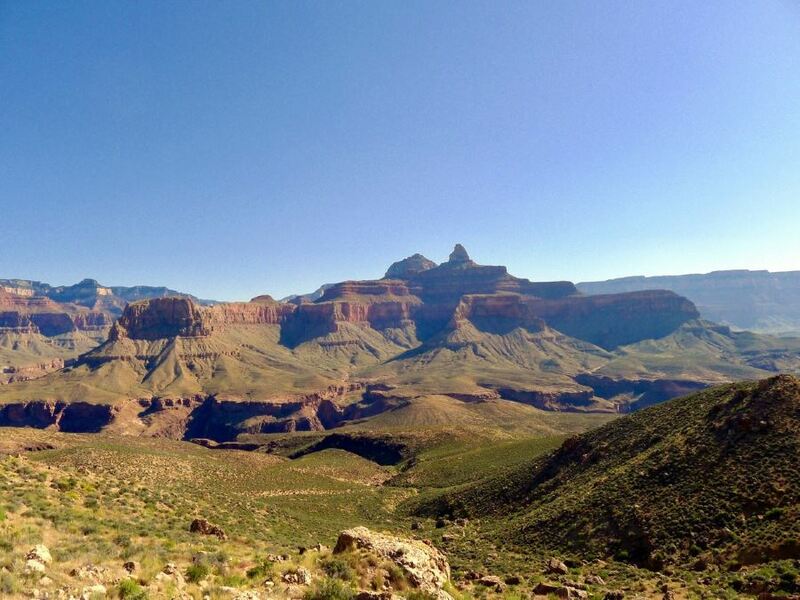 For a complete list of restaurants and groceries within Grand Canyon, please click here. 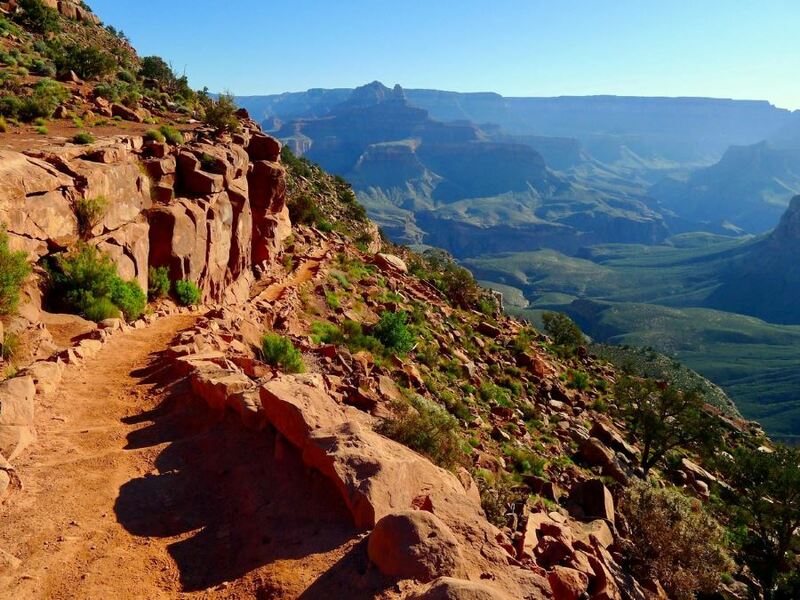 Lucky for visitors, there are many ways to explore the Grand Canyon when you’ve had your fill of the hiking trails. River trips are a particularly popular activity (especially since inner canyon temperatures regularly rise above 100 F in the summer).  You can find a complete list of the many companies that provide guided water tours on the Grand Canyon River Outfitters Association website. Tours range from a short ride to weeks at a time. Bicycling is another popular activity, but this can only be done on paved and unpaved park roads above the rim (not allowed inside the canyon itself). You can rent bikes or join a guided tour with companies such as Bright Angel Bicycles. Or perhaps follow the well-trodden path of tradition and embark on a mule ride tour. Although horses were the ride of choice for the American West, the Grand Canyon has long preferred its hybrid relative: the mule. They combine the sure-footing a burro with the strength of a horse – great for navigating in, out and around the canyon walls. Companies such as Xantarra Parks & Resorts offers single and multi-day mule riding trips. For something a little less strenuous, check out the wide selection of classes offered by The Grand Canyon Association Field Institute, including yoga, photography, natural and cultural history, art, skilled-based classes and more! Monsoon storms common during the summer bring dangerous lightning. Be aware of possible flooding or rock fall, particularly after storms. Extreme heat during summer can easily cause overexertion and dehydration. Make sure to bring plenty of water and wear sun protection. 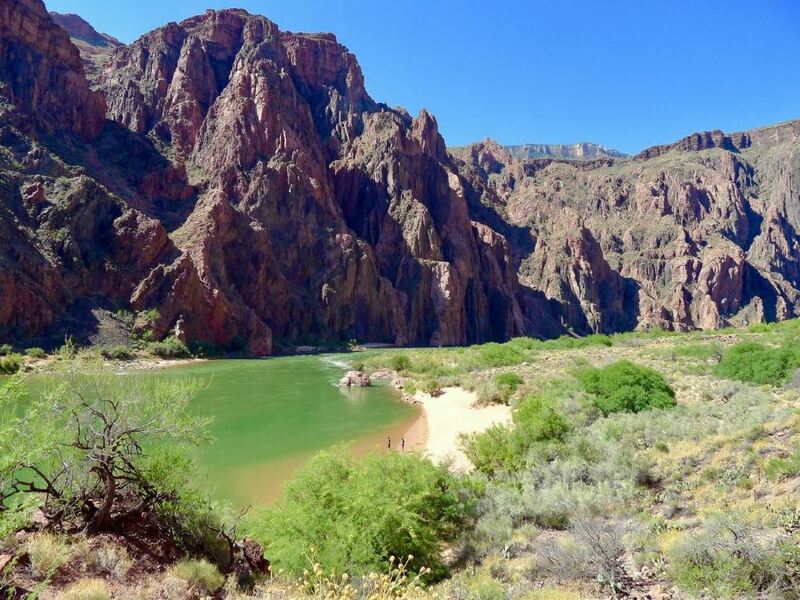 Never swim in the Colorado River – it’s very cold, swift and can easily pull you under. While the South Rim is open all year, the facilities at the North Rim close from mid-October to mid-May, though the park is still open. 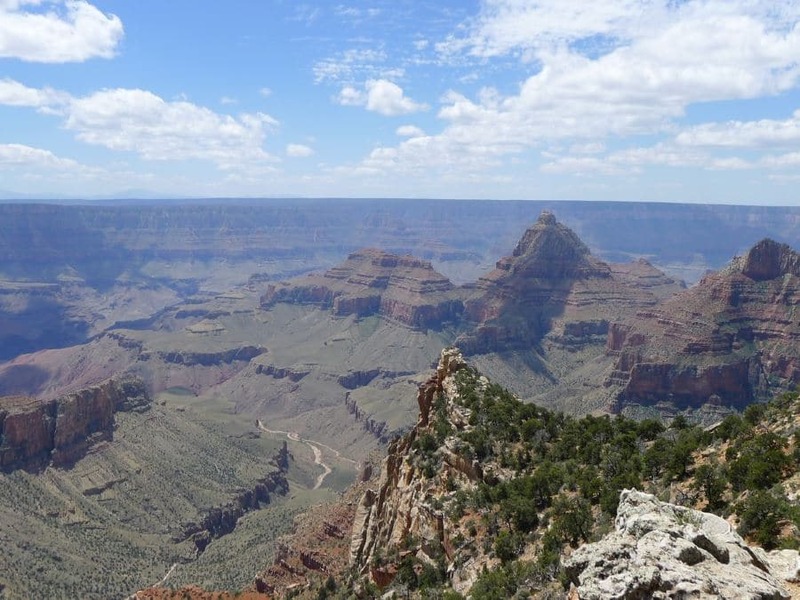 Admission to the park is $30 per private vehicle; $25 per motorcycle; and $15 per person entering the park via Grand Canyon Railway, park shuttle bus, private rafting trip, walking, or riding a bicycle. The pass can be used for seven days and includes both rims. There is no bottled water sold in the park, only refillable water stations. Make sure to bring your own reusable bottle – good for the environment too! Pets must be leashed at all times and may not be taken below the rim, inside buildings, or on shuttle buses. Make sure to bring plenty of water and salty snacks on a hike. You need a backcountry permit for all overnight hiking outside of designated areas.